100mm diamter optical crystal football set on clear crystal base, overall height 160mm, ideal engraved as football awards and offered with low-cost engraving of base. 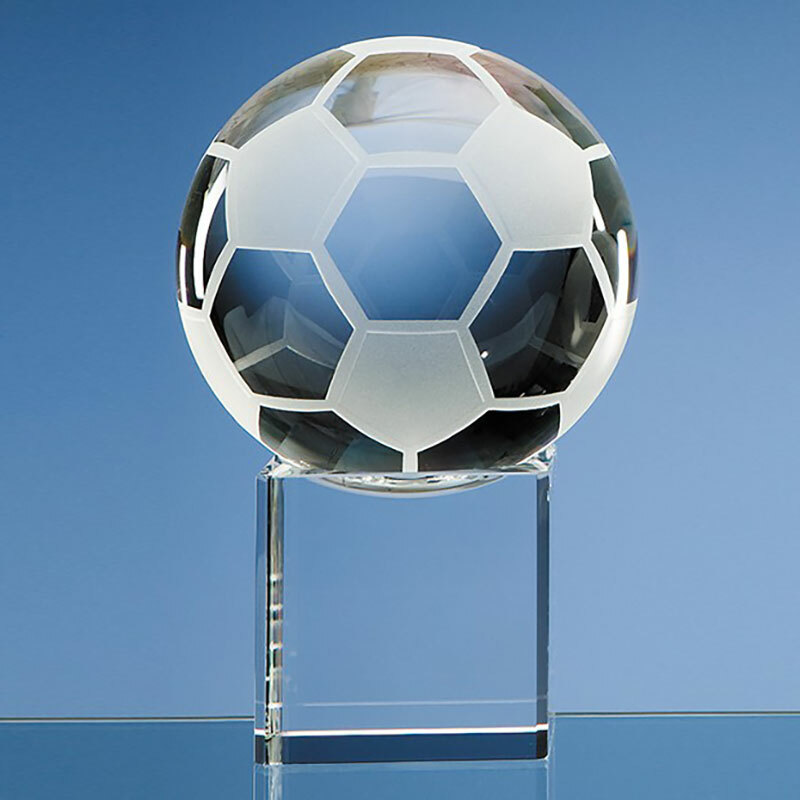 These 100mm diamter optical crystal football trophies make outstanding soccer prizes or awards both for teams or individual players. Set on a clear crystal base with a shallow recess at the top, the finely detailed crystal football sits loosely and can be spun Low-costly on the base. The rectangular bases can be engraved with winner or event details, as well as sponsor logos, association logos, or club logos. They are offered with low-cost engraving of both text and logos.